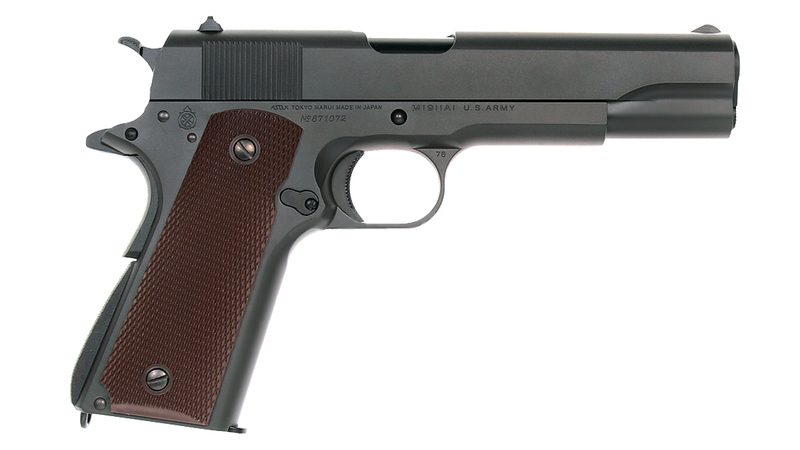 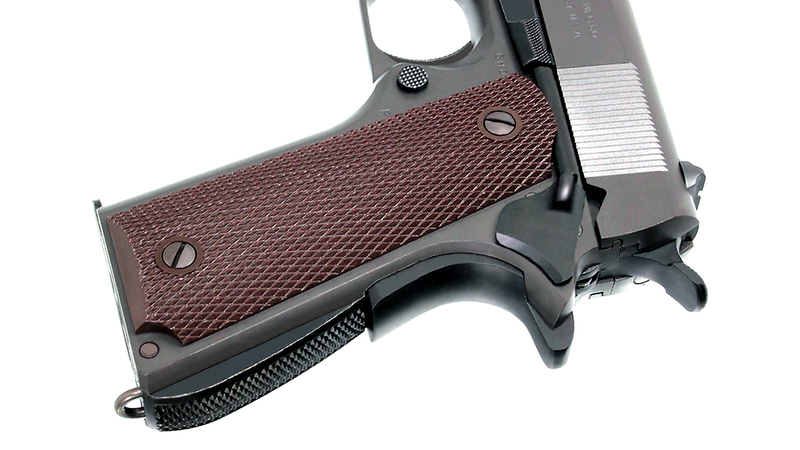 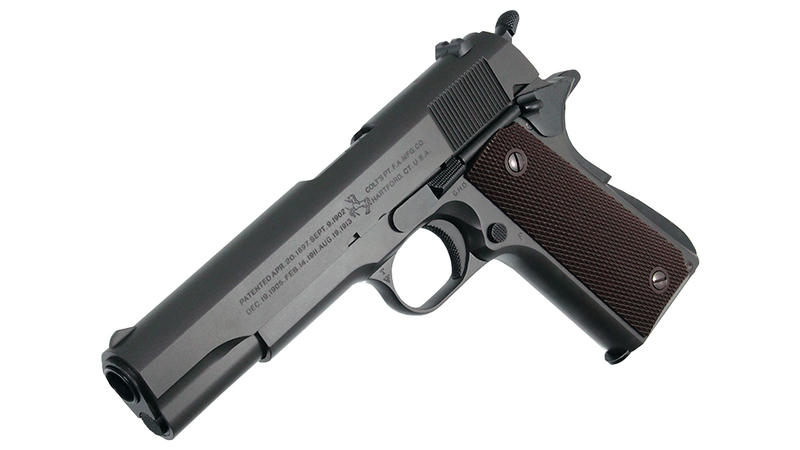 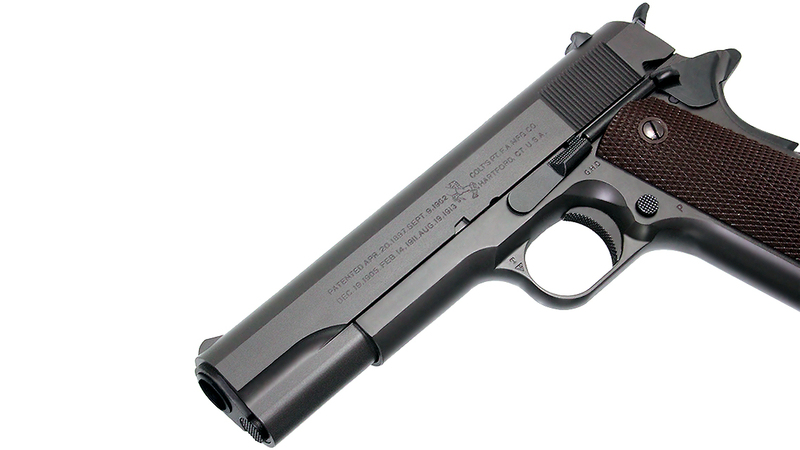 The Tokyo Marui 1911 is more then just a pistol, it is an institution in itself. 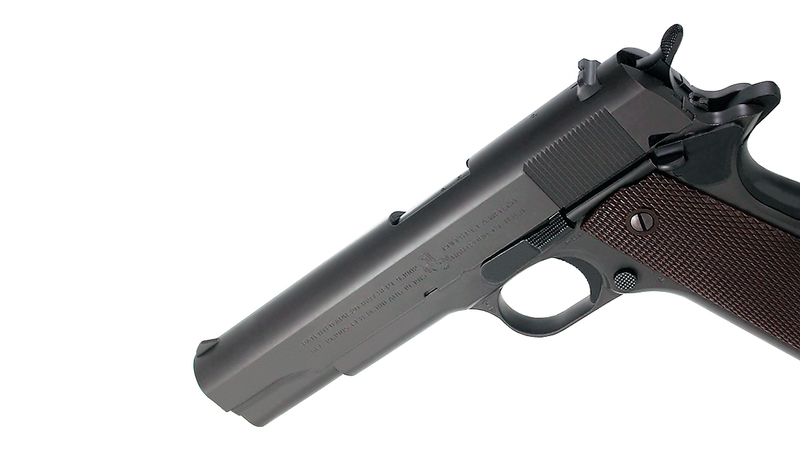 The classic styling is something the rings out in the halls of yesteryears weaponry, the single stack magazine style placing the slim grip in a decades old ergonomically unique feel and the simplicity of its mechanism begs for reliable action. 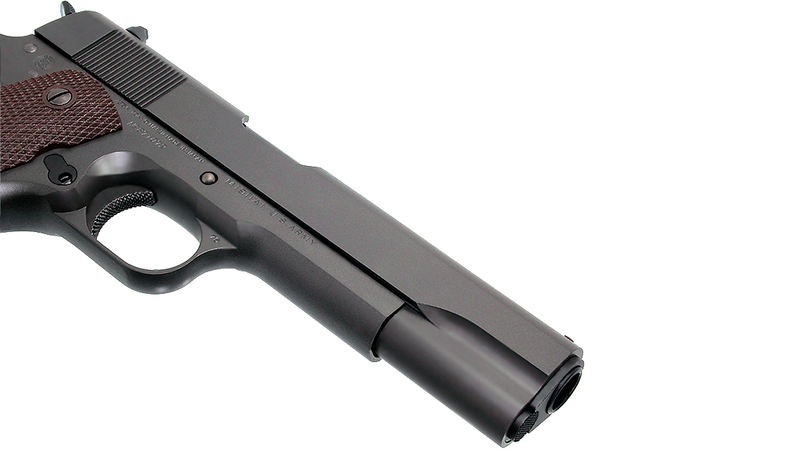 Using a simple yet effective design, this 1911 delivers very impressive power using both HFC134a / Duster and Top / Green gas with excellent blowback. 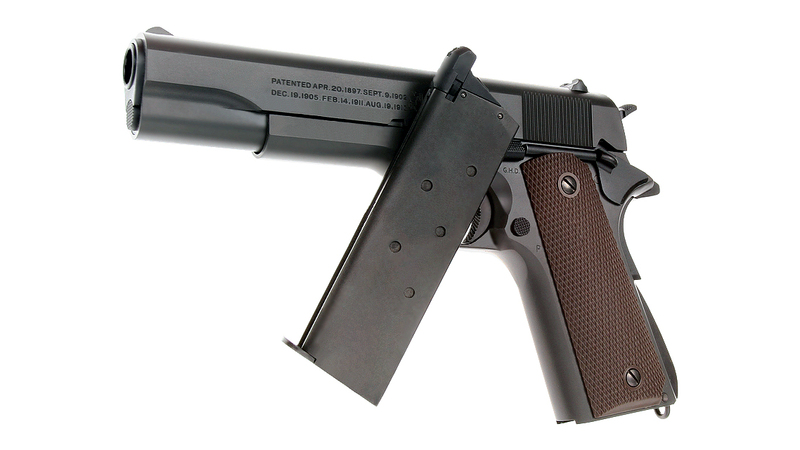 Full size removable metal magazine, metal hammer, trigger, and safety switches. 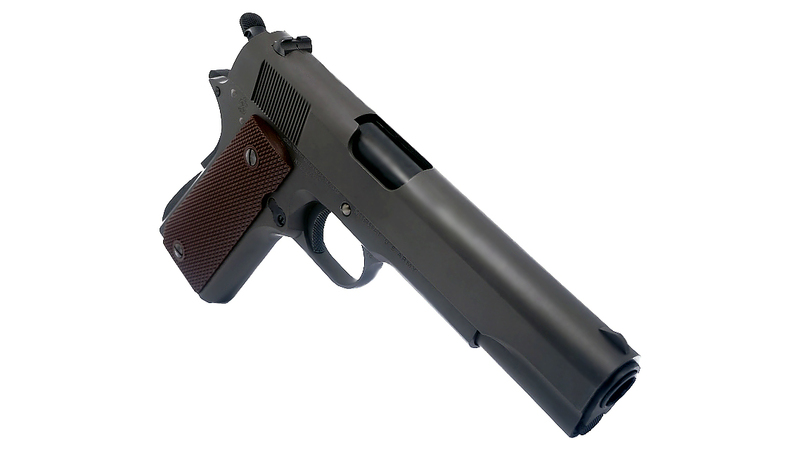 From within normal engagement ranges, the pistol is very accurate and the blowback kick is clear and strong. 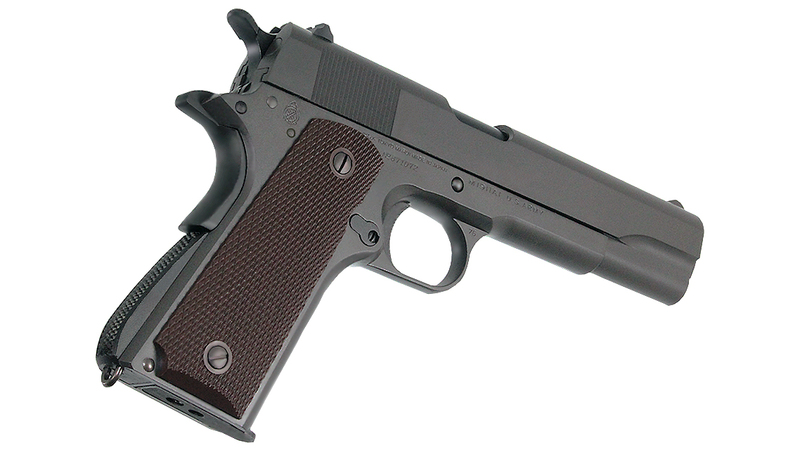 The magic of that Marui hop-up means that despite its relatively low power it will still range like the best of them. 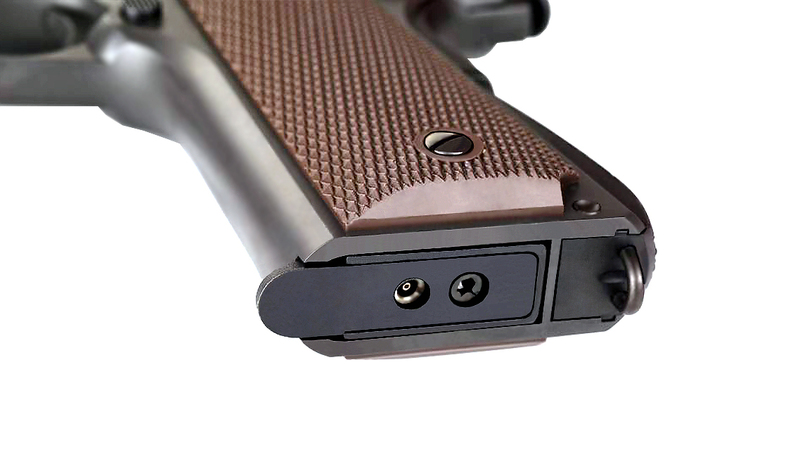 The design of this particular gun uses a significant amount of gas per shot and has a slim gas resevoir, so a fully charged magazine contains just enough gas to empty all BBs in the magazine (under normal warm temperature conditions). 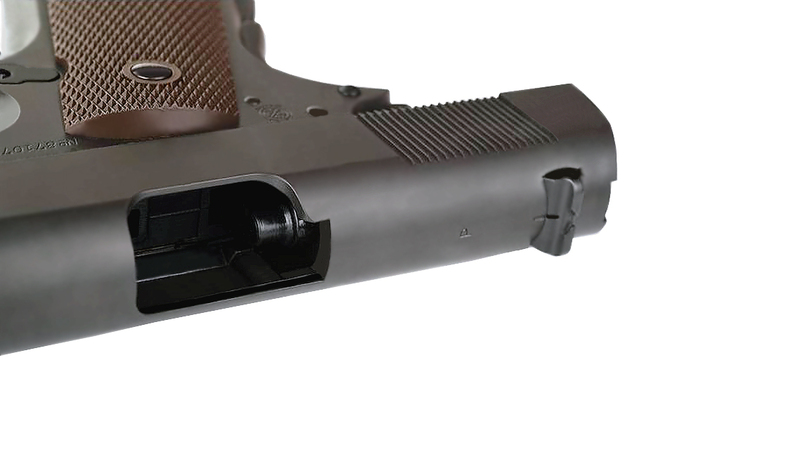 Improperly charging the magazine to less than its maximum capacity, cold weather or not topping it up between reloads may potentially mean that you will not be able to shoot all BBs out on one charge of gas. 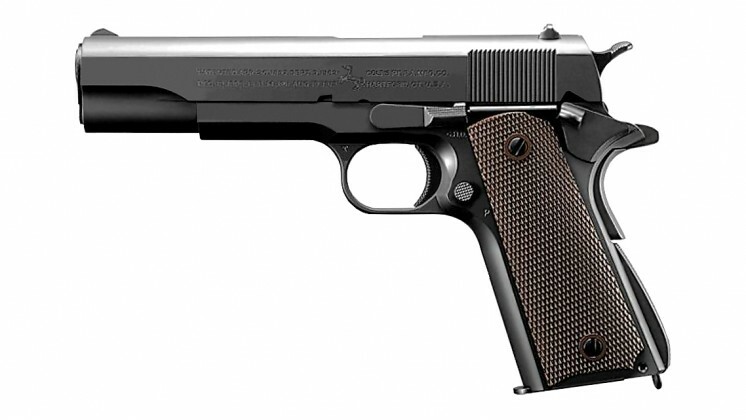 That said, we feel that any short comings in this design small price to pay for the extremely impressive performance that rivals or dare we say even exceeds many other pistols to the point that Tokyo Marui can hold up their venerable 1911 as the standard by which all other such patterned GBB pistols can be compared.